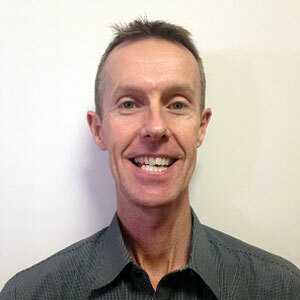 Phil graduated from the University of Sydney in 1988 after completing a bachelor degree in Applied Science (Physiotherapy). Following graduation, he spent 6 years at Westmead & Concord hospitals where he built his expertise in the Cardiothoracic field. In 1990, he added Diploma of Remedial Massage & Diploma of Swedish Massage to his academic qualifications. By 1995, he had begun work for a private practice in the Hills area and within 18 months had opened his first practice in Riverstone. His passion for sport has not waned over the years and although no longer competing in Triathlons, he continues running to keep fit. He works each year as a Physiotherapist at the Sydney Half Marathon and has been involved as a physiotherapist for a local Rugby League team and for netball gala days. Over 20 years in private practice, Phil has built up extensive experience in treating a wide range of conditions including sporting injuries, postural dysfunctions, complex neck and back pain, tendonitis, post-operative rehabilitation and occupational injuries.